The set-up and management of an artist’s estate is an endeavour that entails considerable responsibility. Living artists have many questions about how best to preserve their oeuvre. Those entrusted with estate management must respect specifications of the artist’s will while ensuring that all activity positively impacts the continuation of the legacy. There are many issues which need to be taken into account when planning or leading on the activity of an artists’ estate. It is necessary to consider strategic and legal issues, questions of conservation and restauration as well as registration, archiving, authentication and the catalogue raisonné. Equally important to the positioning of the oeuvre in the art market is gaining academic and curatorial interests, in order to keep the bequest alive. The management of an artist’s estate is successful if the work is kept alive and relevant, if later generations of artists remain inspired by the work, and if curators, academics and collectors continue to find new and invigorating ways to approach the oeuvre. The Institute for Artists’ Estates addresses these issues with the upmost diligence and makes available its expertise to anyone who is involved with or interested in artists’ estates. Artists’ estates not only require a particular sensitivity with regard to the material content of an artistic legacy but also the people involved: the artists, their heirs and estate executors. Every member of the Institute team is a descendent of an artist and/or is directly responsible for an estate, which means we each have a particular sensitivity to the issues. Together with our personal backgrounds and academic interests, our diverse and complementary experiences with museums, galleries, and both larger and smaller estates, has led us to establish the Institute for Artists’ Estates. After studying law, philosophy and art history, Loretta earned her doctorate in international copyright and patent law at the Max Planck Institute, subsequently becoming the youngest ever judge at the Berlin district court. She has been managing the estates of Hans Arp and Sophie Taeuber-Arp since 2009. She has been a partner at Fine Art Partners since 2009 and is the co-founder of Contemporary Art Alliance, a non-profit organisation supporting young contemporary artists in Berlin. Loretta has been lecturing regularly at universities across Europe for over fifteen years. She is the author of the book The Artist Estate: a Handbook for Artists, Executors, and Heirs, published in June 2016 by Hatje Cantz Verlag. Daniel has managed the estate of his grandfather Wolfgang Tümpel since 2006. 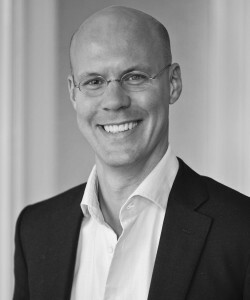 After studying economics and history in Amsterdam and Birmingham, he subsequently worked for MeesPierson in Amsterdam and Morgan Stanley in London and Frankfurt. Daniel comes from a family of art historians and artists: his father, a professor of art history, was an internationally leading Rembrandt expert, whilst his mother was a museum director. His grandfather was a student at the Bauhaus and lectured in industrial design at the University of Fine Arts in Hamburg. 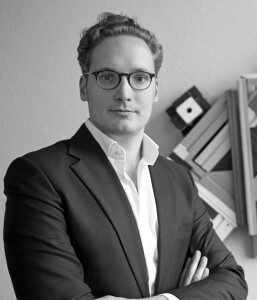 Daniel co-founded Fine Art Partners in 2008, and has been managing the estates of Hans Arp and Sophie Taeuber-Arp since 2009. Karl is a trained lawyer with comprehensive academic and practical involvement in the subject of artists’ estates. Together with Loretta he authored the book The Artist Estate: A Handbook for Artists, Executors, and Heirs, published June 2016. Karl is the director of Fine Art Partners in Berlin. He studied law in Freiburg, Munich, and Berlin and earned a Masters in Art Business at Sotheby’s Institute of Art in New York. Before joining Fine Art Partners, he was founder and managing director of an online marketplace for art and antique dealers. Hélène Vandenberghe has been co-managing the estate of her father Philippe Vandenberg since 2009. As an art historian, she began her career in 2000 as a curator in Huis van Alijn, Ghent. 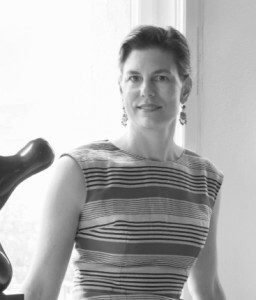 In 2002 Vandenberghe co-founded the heritage weekend in Flanders and Brussels and from 2008 she worked as artistic advisor to the CEO of the Centre for Fine Arts (Bozar) in Brussels. 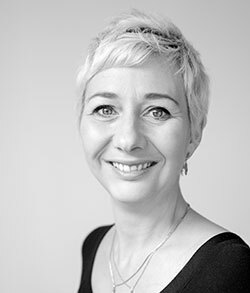 Hélène has been working as a consultant since 2015.